My wife and I have bought two cars at Surf Auto over the last two years and have nothing but great things to say about them. They are obviously very selective in what vehicles they offer, not like the high mileage junk you see at other dealers. The owner is a straight shooter. No BS. I'm pretty sure the next car we purchase will be at Surf Auto. I wish I had written this review sooner, but all I can tell you is if your looking for a quality car from an honest dealer, go to Surf Auto! Helpful and honest, they work with you and know their cars. I had a great experience with this dealership, i happened to be looking for a Tahoe; and he had it. When no one else would do a deal or get me approved he got it done. I 100% advise anyone having a problem getting a vehicle loan go to Surf auto brokers, they will go above and beyond to get you approved. I am very happy with the professionalism and kindness of the dealer, and also happy with the truck its what i wanted and was looking for. REPEAT CUSTOMER OF SURF AUTO .PURCHASED MY FIRST CAR 4 YEARS AGO AND BACK AGAIN FOR AN OTHER. CHECK STOSH out for a stright forward buying experience. I bought the 2006 Trailblazer on 10/2/16, and I need to say that after a long history of buying cars from a lot of dealers, this has been, by far, the BEST experience I've had. Their honesty was refreshing throughout the entire transaction. Commitments that were made were kept, without even my having to follow up, and they went above and beyond to ensure satisfaction with my purchase! I love my truck! I will definitely buy from them again, and would not hesitate, at all, to recommend them to someone else. Purchased a 2003 BMW 325 and my experience was nothing but a impressive. The price I paid was great and the condition of the used car is excellent. I was so impressed by the ease of the purchased and felt so comfortable with my purchase. Most of all it I place I felt I could trust. We took our vehicle to Surf Auto for a complete interior detailing, and the work performed far exceeded our expectations. They even cleaned the exterior, which came as an unexpected surprise that we truly appreciated. It was the best car buying experience Ive ever had. he goes out of his way to get you in the the right and affordable car . I bought a 2000 ford explorer the car ran great!!! You can tell that surf auto is a family business they don't try to mess with you on the prices like the bigger dealerships, I recommend them to anyone looking to buy a quality car at a more than reasonable price. They have my business for years to come!!! Luckily found Surf Auto for an auto detailing need. They stayed open beyond scheduled hours on a Saturday and provided an incredibly thorough cleaning. I'd definitely go back. They were great. It was such a wonderful experience which is unusual when buying a car. Everything they said about the car was exactly what we got. The paperwork was on time. We live in New York and got everything we needed to register the car, it was really a nice experience. Would buy from them again no problem. I can not imagine the process of buying a car made easier . The staff is helpful and patient and will continually pay mind to a customers needs. I will definitely be returning when the time is right. We are happy to hear you enjoyed your experience with us Peter. Keep our other services in mind also , Detailing, and Car Care. Welcome to the Surf family . Bought several cars from Surf. Easy, smooth transactions, fair price. 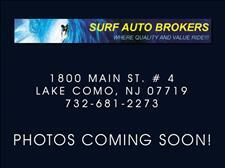 Quality used vehicles! My mother bought there and loved it too! Highly recommend! I bought my Jeep Wrangler from Surf in 2008. The vehicle was in great condition. He let me drive it around a little to see if I liked it. I loved it. After the purchase, I had to relocate to Phoenix. I drove the Jeep cross country, up the mountains with a U-Haul behind it. I made that thing work! Then, while in Arizona, I drove up to Lake Roosevelt, back through the Apache trail. The Jeep was a hard working vehicle. I drove it to the beach on the Sea of Cortez in Mexico. Never had a problem. Stosh worked with me on the financing, and got me done. He explained the details of all of the paperwork and was truly the honest used car dealer! I will definitely talk to Stosh, owner of Surf Auto the next time I buy a car. Thank you so much for all of your help in selling me this awesome Jeep. It has worked out wonderfully for me and I couldn't be happier! At Surf Auto Brokers LLC we are proud of the quality used cars we sell and our dedication to serve the needs of our customers. This is reflected in the amount of repeat business we receive. Whether this is your first purchase with us or one of many that you’ve had, you can count on our dedicated sales staff to make it the best buying experience possible.